There's still time to participate in Color Challenge 43! Remember, you don't have to have the EXACT colors to play. Just use colors inspired by the ones you see below. This challenge features soft colors to inspire you — Primitive White, Daffodil, Sour Apple, and Berrylicious. From Raluca Vezeteu comes this adorable design featuring our Ewe Are the Best stamp set and Die-namics. And check out this fun card by Karen Baker. 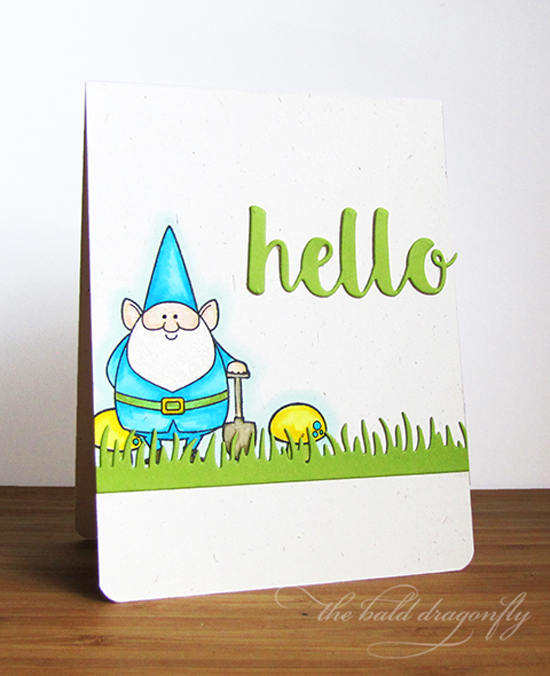 She uses the You Gnome Me stamp set and the Fresh Cut Grass and Hello There Die-namics with our colors and comes up with a super cute design!